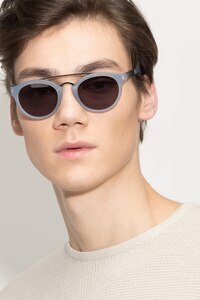 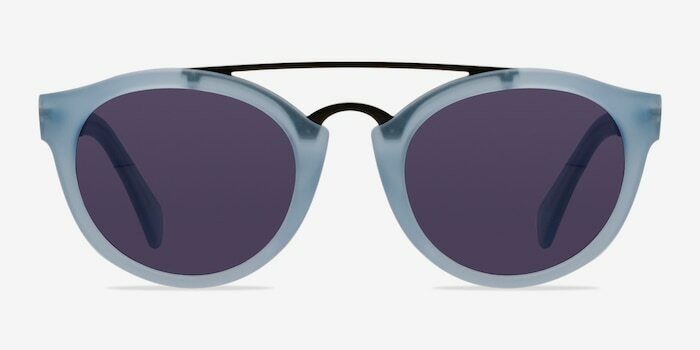 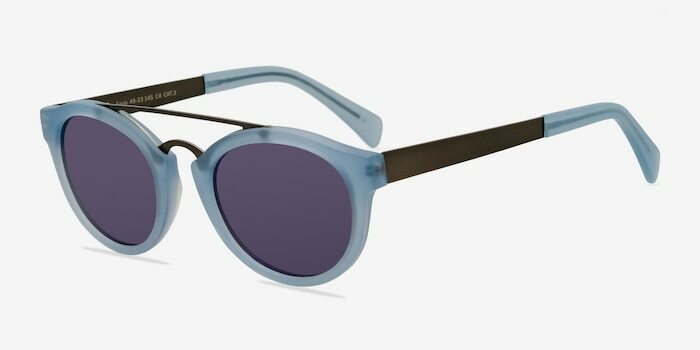 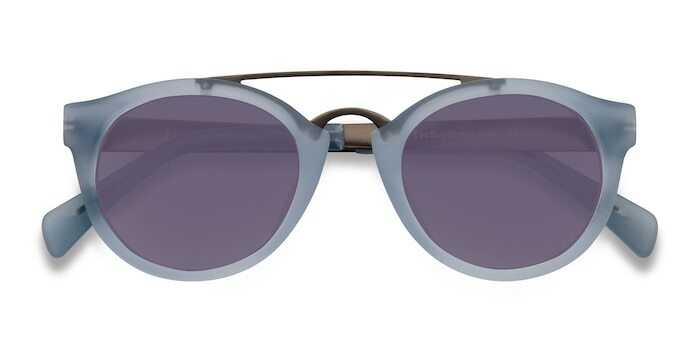 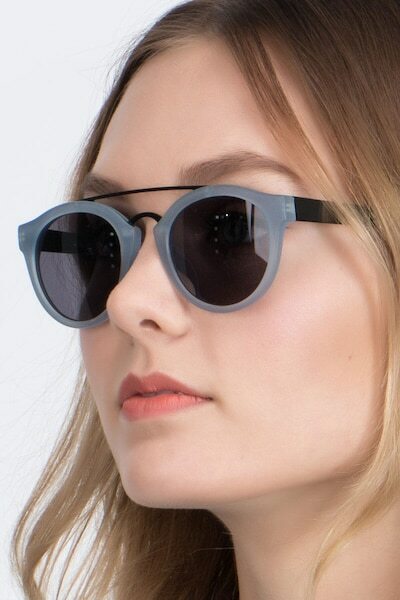 March to the beat of your own drum with these clear blue sunglasses. 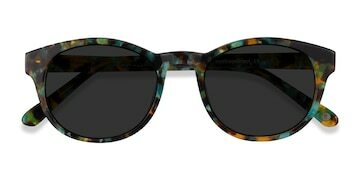 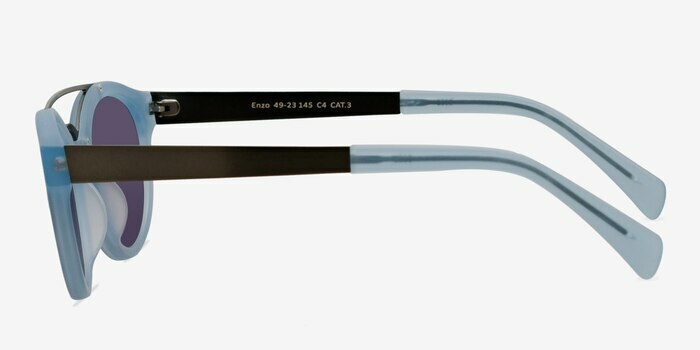 This uniquely styled frame comes in a semi-transparent matte sky blue acetate finish with oval shaped lenses and matching arm tips. 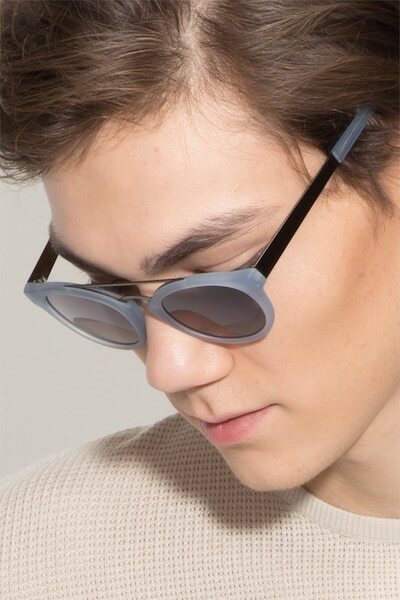 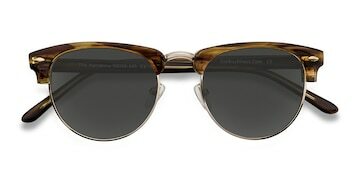 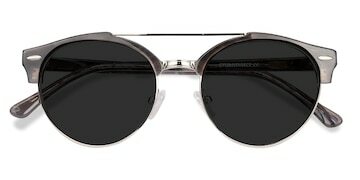 Metal double nose bridge and temples adds a contrasting detail to this cool look that is suitable for both men and women.